An Evening Of Music and Story In Elk River! POSTPONED–tentative reschedule date is Tuesday, March 12! 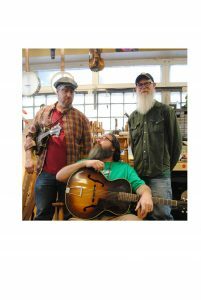 On Monday, February 12, the Skally Line raises steam at 6:00 p.m. for an hour of music and story at the library in Elk River! We're stoked for a night of clapping, singing, and sharing courtesy of The Great River Library System and the Legacy Fund. Come on down and join in the fun. Can't think of a better way to beat the winter blues than to sing up the past and enjoy one another's company. See you there!